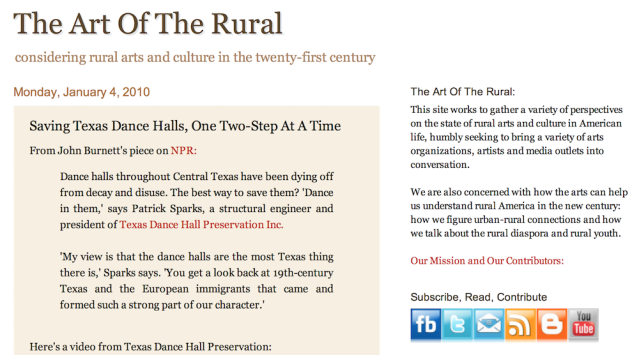 For four years, the Art of the Rural blog has served as a leading source for information and commentary on the diverse state of contemporary rural arts and culture. Its evolved web design utilizes new media platforms and a pre-existing social media presence to forward a more robust sense of the artists, contexts, and practices at stake in the field. Supported by the W.K. Kellogg Foundation and the Center for Rural Strategies, and operated in consultation with Appalshop, Feral Arts, and M12, the Atlas of Rural Arts and Culture utilizes the open-source PlaceStories digital platform to visualize a range of American arts and cultural practice while also encouraging community participation and the emergence of new partnerships across sectors and disciplines. Through embeddable features and social media integration, the Atlas offers an accessible and dynamic digital tool for outreach and storytelling. 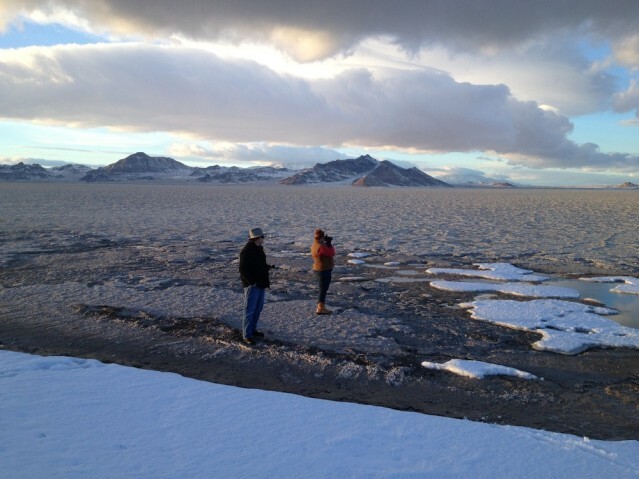 Art of the Rural Project Stewards cultivate discipline-specific programming and discourse that advance rural artists and organizations across sectors. They animate the organization’s open cycle philosophy – as their work moves from digital to on the ground platforms and back again – while also guiding the vision of Art of the Rural and ensuring equitable and inclusive conversation across academic and creative disciplines. 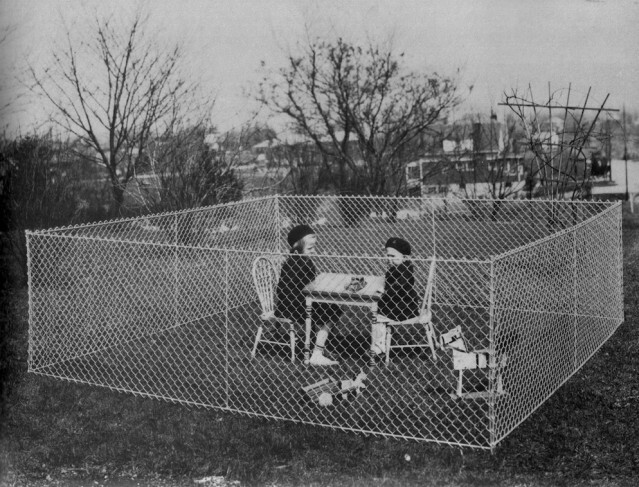 In conjunction with the organization’s digital work and on the ground field-building, A Rural Space will illuminate the deeper cultural, aesthetic, and historical contexts within contemporary practice. From print publications to audio recordings, this imprint will collaborate with well-known artists as well as community arts organizations, providing curatorial and production expertise to groups who normally cannot execute such materials. 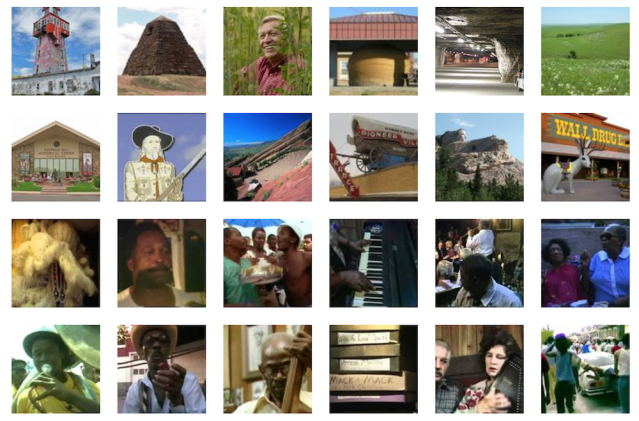 In an effort to utilize digital media to help bridge the geographic distance separating rural artists and practitioners, region-specific or genre-focused project maps within the Atlas of Rural Arts and Culture serve as the gathering points through which to build collaborative on the ground networks. The Western Art Consortium, through its WEST 100 to 115 project, hosts online conversations and features that build momentum toward formal and informal convenings. In addition, the University of Oregon Rural Arts and Culture Program within the Arts Administration Department collaborates with their state arts and folklife agencies to map rural affiliations. 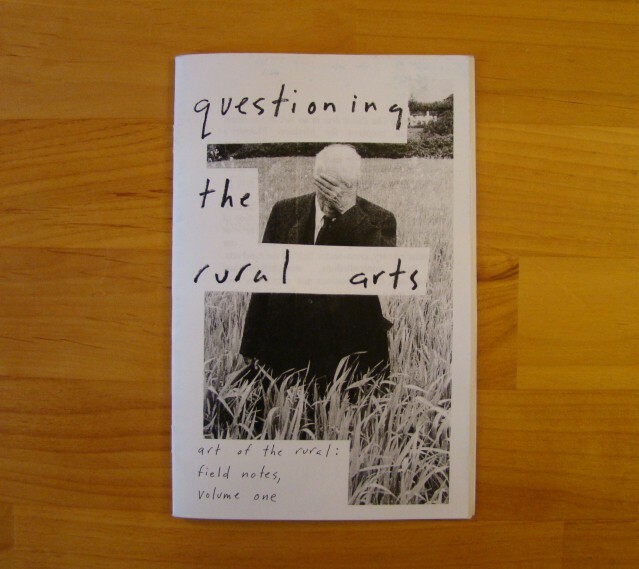 Art of the Rural staff and advisors work to collaborate within the classroom to bridge the distance between universities and rural communities, and to engage discourse across disciplines and sectors. 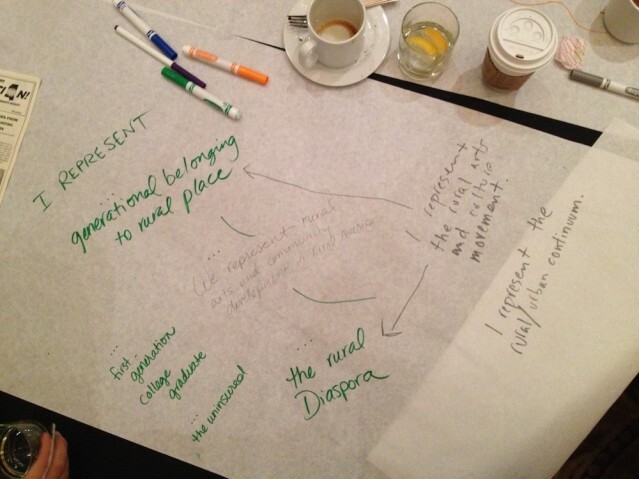 Upcoming Courses include: Spatial Stories; Art, Design, and Entrepreneurship: Creative Placemaking Beyond the Cities and Another Country: Land, Diaspora, and the Vernacular.